New sign, same outcome. I think I see where the problem lies. 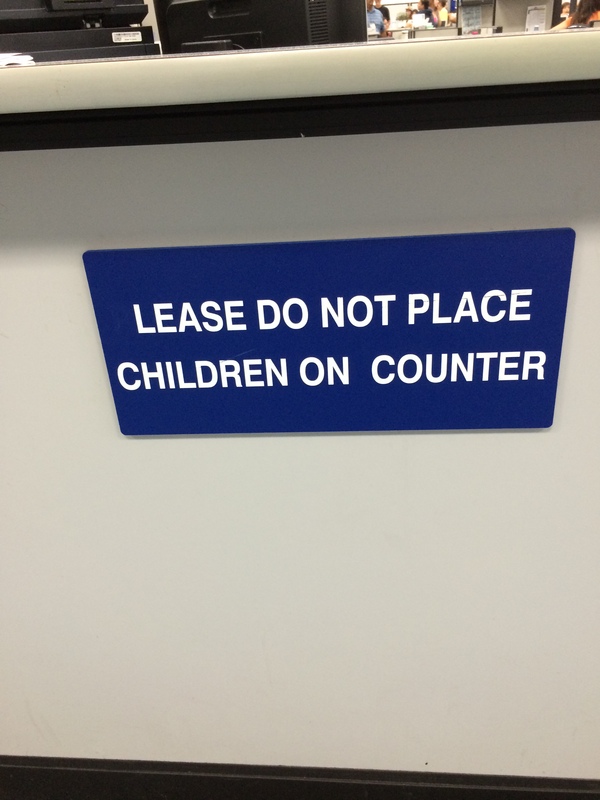 When you put kids on the counter, they squirm around and hurt the sign. That’s why the sign is needed. To protect the sign. LOL – love the interpretation! I’m just curious about the sign, in general. Even in FloriDUH, there isn’t a need for that sort of warning. Or the DMV has just given up trying. Yep. That one’s more likely. I think we need to look at this a different way. Perhaps the sign is trying to tell us something subliminally with the missing letters. So far, an E and a P. I would worry if the next time you see it, the H and L are missing! 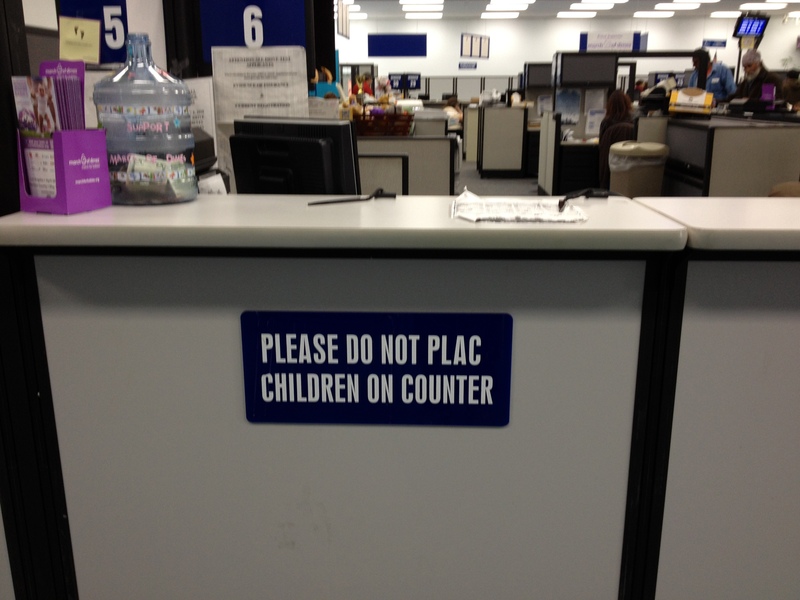 Only at the DMV. LOL Great catch. Perhaps they need a bigger sign so that the parents understand!